So….you’ve heard of cow tipping, right? Well, that’s so rural. 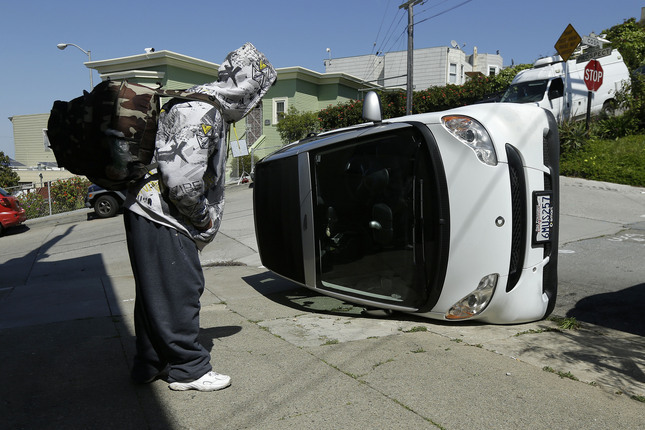 Apparently, the new trend is “Smart Car tipping”, at least in California. In the last couple of weeks, there have been several Smart cars that have been tipped over by large groups of young folk. Let’s hope it doesn’t become a trend around these parts. For more information, please click here. Thanks for reading. And don’t forget to contact KYSITE if you need anything.